Every promise that I make is true for I do not lie or change My mind. 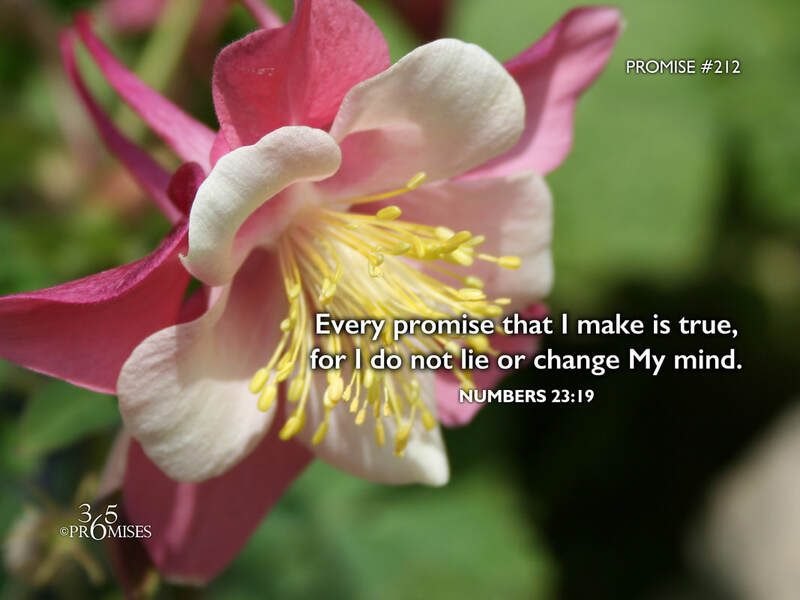 In today's promise, Numbers 23:19 clearly tells us that God is not a man, that he should lie. One of the problems that we have relating to God is the ability to trust Him completely. The reason why we struggle to trust him is that we have learned from life's experiences that people do not always keep their promises. While I don't think we intentionally make the same assumptions about God, there is something in the human heart that can sometimes project onto God the same disappointments that we have experienced with people close to us. Many times we can assume that God will treat us just like our earthly fathers did. If we struggled to trust our parents, then we may struggle to trust God. But this promise clearly says that God is not like any person on earth. He does not lie or change His mind. Every promise that He makes is completely and absolutely true! The work that God has called us to is to simply believe that He is who He says He is. May faith rise up in our hearts today and cry out 'Yes and Amen!' to every promise that God makes! He is true! He is faithful! ...And He always keeps His promises.